The EPOC project (2014-2016) aims to promote a multidisciplinary local climate observatory as a tool to assist the local adaptation policy through a partnership between researchers and local authorities. Grand Lyon has a “Tree Charter” which acknowledges the climate role of trees in cities and the potential impact of climate change on trees. The three main research areas of the tree charter include: 1) preservation and enhancement of fertile soil; 2) relationship between landscape and water cycle management and 3) link with urban nature and climate change. 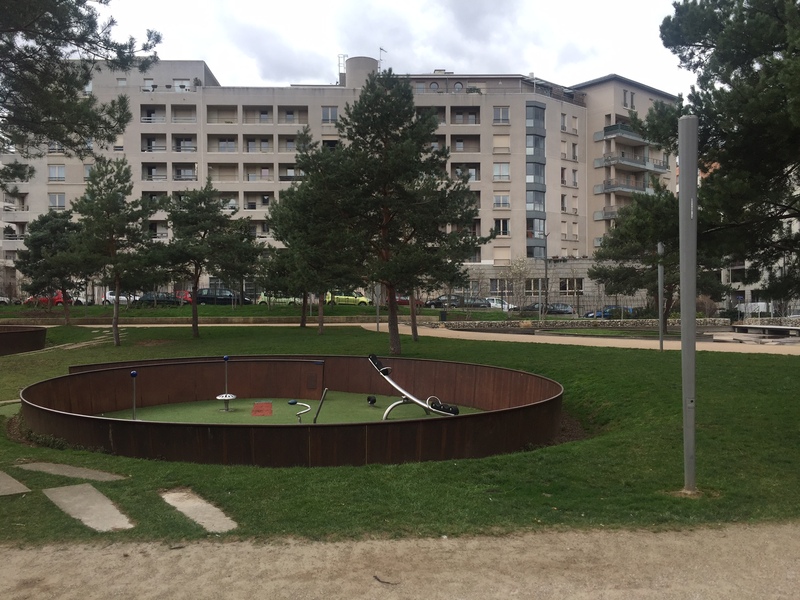 Park Kaplan was built as part of the French land planning process in 2007 in a very dense neighbourhood. It includes rainwater retention and infiltration devices to manage rainwater. The layout and the trees in the park also help to address extreme events (storms and heat waves). Confluence district: the land between the rivers Rhone and Saone is being regenerated taking into account sustainability and climate change aspects. The project covers an area of 150 hectares of which 70 hectares are reclaimed land. The first phase was completed in summer 2014. The project is now in its second phase. Next workshop is planned to be held in Liverpool on 20-21 June 2016.